Last Friday Renault Sport UK revealed its unique Driver Training Programme created by the Renault F1 Team Human Performance Centre exclusively for drivers of the three Renault Sport-promoted series. Held at the Renault F1 Team headquarters in Enstone, Oxfordshire, drivers from the Michelin Formula Renault UK, Protyre Formula Renault BARC and ELF Renault Clio Cup with Michelin Championships attended the launch of the pioneering new scheme which is the only one of its kind and offers Renault Sport drivers in the UK a direct link with the Renault F1 Team. The Driver Training Programme has been created to give young, aspiring drivers the chance to develop their physical and psychological conditioning on their way to becoming professional racing drivers and succeeding in top-flight motorsport. 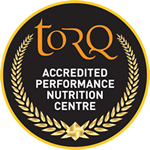 As well as regular fitness assessments throughout the season, drivers who sign-up to the scheme will be given a tailored exercise plan together with nutritional advice and access to TORQ’s extremely highly performing Performance Nutrition products. They will also be able to use the cutting-edge facilities at the Renault F1 Team Human Performance Centre, which includes the latest gym equipment such as neck strengthening apparatus and a Batak reaction tester. The event began with a presentation from Renault F1 Team Head Coach Daryl Coombes who currently helps train Renault F1 drivers Robert Kubica and Vitaly Petrov and will be co-ordinating the scheme. Attendees, who also included members of the motorsport press, were then treated to a tour of the Human Performance Centre’s state-of-the-art training facilities and equipment. The opening rounds of the Michelin Formula Renault UK Championship and ELF Renault Clio Cup with Michelin take place at Hampshire’s Thruxton circuit on 3rd/4th April. Meanwhile the season opener for the Protyre Formula Renault BARC Championship takes place at Brands Hatch on 17/18th April.